Edited by Eddie Silva. Foreword by Lisa Melandri. Text by Erin Christovale. 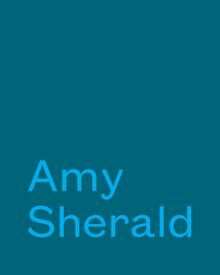 This is the first monograph on Baltimore artist Amy Sherald (born 1973), and coincides with her first solo museum show at the Contemporary Art Museum St. Louis. Sherald, best known for her stunning and iconic portrait of Michelle Obama, makes paintings of African Americans she encounters on the street, in the grocery store or on the bus. “When I choose my models,” the artist has said, “it’s something that only I can see in that person, in their face and their eyes, that’s so captivating about them.” Through these vibrant, sometimes fantastical portraits, Sherald captures the essence of her particular subjects while engaging in broader dialogues about the black experience, the performance of race and the historic lack of nonwhite representation in the Western art canon. 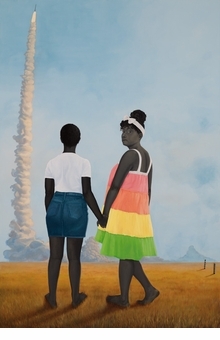 Set against a monochrome background and divorced of context, time and place, the life-sized, frontal figures are dressed in costumes and carry objects that indicate their daily activities or imagined or perceived selves. Although each subject—painted with sober realism—bears clear resemblance to the sitter, Sherald adds the props and clothing, conjuring the figure’s possible alternate self, and hinting at the complexity and performance of identity and race. Paperback, 8 x 10 in. / 36 pgs / 17 color.